Bella of the Ball! Brand Ambassador Bella Hadid wows the crowd during an exclusive evening in Kuala Lumpur. Kuala Lumpur, 26 November 2018 – TAG Heuer Brand Ambassador Bella Hadid was the toast of the ball at an exclusive appearance in the capital city of Malaysia. The by-invitation-only party was attended by happy fews from the world of fashion, music and sport, coming from Malaysia and other countries of South-East Asia. Celebrities Neelofa, Scha Alyahya together with socialites Chryseis Tan, YM Tengku Puteri Iman Afzan TengkuAbdullah and Rebekah Yeoh joined guests for the event at the top of the St Regis Kuala Lumpur Hotel, where the rooftop pool area had been transformed into a glamorous oasis in the heart of the metropolitan city. At the event, Amelia Sillard, Vice-President TAG Heuer, South-East Asia welcomed Bella and guests by saying : "We are honoured to be hosting Bella Hadid for the first time in South-East Asia. Having Bella as our Brand Ambassador enables us to stay connected to the young generation, and to the brand’s spirit of Avant-Garde, innovation and disruption”. The evening then kicked off with an energetic fashion show on a floating catwalk. 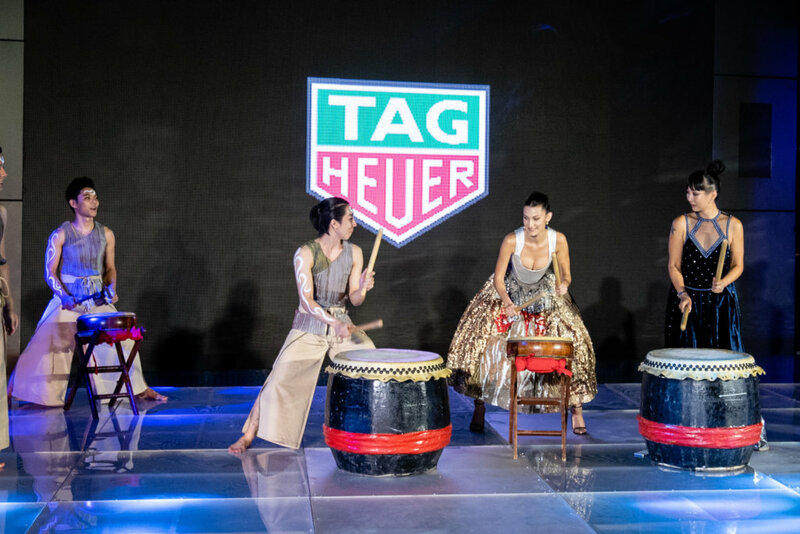 Wearing pieces by celebrated Malaysian fashion designer Khoon Hooi, the models showcased a collection of TAG Heuer Ladies watches, including the TAG Heuer Formula 1 Lady, with a diamond setting and a red berry strap matching the jewel tone of the outfit. This was followed by the TAG Heuer Aquaracer collection in full and half ceramic for a trendy vibe and yet maintaining a sense of coolness. The show ended with a little sparkle, as the more opulent designs from Khoon Hooi were paired with the TAG Heuer Carrera series. Laced in diamonds and lined in rose gold, the timepieces are the perfect accessory to be worn from day to night effortlessly. The highlight of the evening was the appearance of Bella Hadid, TAG Heuer’s Brand Ambassador on stage. The American top model took to the stage with Hands Percussion, a renowned award-winning percussion ensemble. Their joined performance was undoubtedly an amazing moment for the crowd! Crowned as one of the supermodels in the world, Bella Hadid is no stranger to pressure having walked on the most sought-after fashion show runways around the world. Her ability to not crack under pressure is one of the brand value shared with other TAG Heuer ambassadors. Regional music maestro DJ Blink then took the decks at the end of the programme, entertaining guests dancing the night away for an evening to remember.